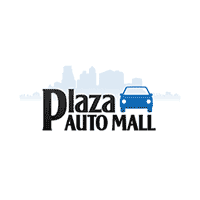 If you are a Manhattan or Queens, New York area car shopper with low credit, Plaza Auto Mall wants to be your first choice for a used car purchase and the low credit financing to get you there. Our dealerships in Brooklyn, NY stock a vast selection of used vehicles from the likes of Toyota, Honda, Acura, Kia and Hyundai for drivers to explore. No matter which Plaza Auto Mall dealership location you select to shop at, you will find an in-house finance department on-site that is committed to assisting you with obtaining sub-prime auto loans. Drivers who have less than perfect credit scores will find that working with a finance department at a Plaza Auto Mall dealership is stress-free. While other car dealerships may turn you away due to a poor credit history, the Finance staff at Plaza Auto Mall dealerships understand that drivers with low credit scores deserve second-chance financing. We are here to structure a low credit or subprime auto loan with your unique financial situation and monthly budget in mind! To apply for a low credit auto loan or sub-prime car loan, fill out a secure online credit application at your Plaza Auto Mall dealership of choice. Once our auto finance specialists review your finance application, you will be contacted to discuss the next steps in your financing and car buying process. Here at the Plaza Auto Mall, we are committed to assisting low credit car buyers with getting into a well-equipped and dependable car, SUV or pickup truck at an affordable price. Many top automakers like Honda, Toyota and Hyundai, are well-represented at our group of car dealerships, so shop for a used car for sale that you would like to drive home — and apply for low credit financing today!